Why should I choose Sports and Wellness Physical Therapy? What injuries or illnesses can physical therapy help with? Do I need to see a doctor first before getting physical therapy? How often and for how long will I come for physical therapy? What can I do at home to speed the healing/rehabilitation process? Will I see results, and when? Will my insurance cover my appointment? How does the billing work? What if I have to cancel or reschedule my appointment? Do you see patients on a walk-in basis? Physical therapy is a form of treatment designed to help in the recovery and rehabilitation from an injury or illness that has impaired your strength, mobility, or balance. Your Physical Therapist will evaluate your condition and design exercises to help you regain your optimum physical condition. At your appointment, your Physical Therapist will assist you in performing these exercises, and may also show you additional exercises to perform at home in between your appointments. SWPT provides highly personalized and professional physical therapy services that are tailored to your unique needs and goals. With over 25 years in practice, our Physical Therapist has the expertise to design a therapeutic program that is right for you. Our goal is to help you function in your daily activities effectively and free of pain. We also believe strongly in looking at the bigger picture of your overall wellness, which can include exploring lifestyle habits, fitness, and nutrition. 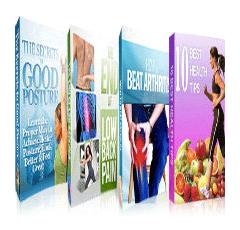 Each of these areas plays an important role in restoring and sustaining your optimum health. SWPT aims to empower clients with knowledge to help control their pain and assist themselves in their own recovery. We will communicate clearly and work with your referring physician throughout your treatment. accordingly. If you wish to pay in full for physical therapy, no prescription is required. All of your physical therapy sessions will be conducted entirely by our Physical Therapist Doug Johnson. Doug is a licensed Physical Therapist (PT) with over 25 years of experience practicing physical therapy. He is a member of the American Physical Therapy Association and is also a Certified Strength and Conditioning Specialist (CSCS) through the National Strength and Conditioning Association. We will try to get you in on the day that you call, or the next day if we are full. Your initial appointment can last between 60-90 minutes. Subsequent appointments are between 45-60 minutes. Please come to your appointment wearing loose, comfortable clothing. Exercise wear (such as sweats, jogging suits, or shorts and a tee shirt) works well and allows your Physical Therapist to see the affected area of your body as you work together. Your first appointment will last approximately one hour. During that time, your condition will be evaluated by our Physical Therapist, who will also establish a treatment plan specifically for you. Your treatment will begin at your first session, and will continue depending on your doctor's prescription and/or your progress. Physical therapy can last for a few visits or up to two months or more depending upon your injury and the level of supervision required to achieve your goals. Your referring physician and/or Physical Therapist will make recommendations regarding the length of treatment. Depending on your injury, you may see results in as quickly as one week. However, the recovery process is specific to each person and each condition, and will therefore vary. We accept Medicare, Worker's Compensation, Covered California, and private insurance. We are also pleased to be the local provider for Physician's Choice and Marian Health Services members. For co-pays and deductibles, we accept all major credit cards, debit cards, personal checks, and cash. Should you have questions about payments or your insurance, our office staff will be happy to help you. If for any reason you are unable to keep your appointment, please call to reschedule or cancel as soon as possible, AT LEAST 24 HOURS IN ADVANCE of your appointment. We have an answering machine for your convenience during non-working hours, weekends, and holidays. Missed appointments will be billed as a no-show charge, which will not be covered by your insurance carrier. No, an appointment is required. Please call 805-439-2159 to schedule your appointment. Our office is open from 8:00 am to 6:00 pm on Mondays, Wednesdays, and Fridays, and from 8:00 am to 4:00 pm on Tuesdays and Thursdays. We will do everything possible to schedule your appointment for the day you call or the next day. Who can participate in the Athlete For Life wellness program? What kind of training does a Health Coach have? Who provides the fitness training services? Can I participate in fitness training and physical therapy at the same time? How often should I come to fitness training? Will my insurance cover a wellness program? Anyone who would like to improve their overall well-being and health can participate in our wellness program. Physical therapy patients must first complete their sessions, or get approval from their Physical Therapist before participating in fitness training. Classes and health coaching services are available to everyone. create a happy, healthy, and well-balanced life in a way that is flexible, fun, and fulfilling. SWPT offers a safe place for you to explore your health and wellness needs, set goals, and achieve a deeper understanding of the nutrition and lifestyle choices that work best for you. Together we will design a lifestyle plan that will help you improve your overall sense of well-being, peace, energy, and radiant health. Pick up a class schedule at our office, or click here for more information about our class times and locations. You will meet with your Health Coach twice a month for six months to cover a wide range of general wellness topics as well as issues specific to you. Each session lasts for 50 minutes to an hour. Health coaching provides a safe space for you to explore and share. You will be provided with a wide range of resources, handouts, recipes, as well as email contact to support you along the way. Strength and Conditioning Association. He has a background in athletics, and strongly believes in the importance of exercise as part of a healthy lifestyle to optimize overall wellness. No. You must complete physical therapy and be medically cleared by your physician prior to beginning a fitness training program. One or two times per week is most often recommended to achieve and sustain results. Unfortunately, most insurance plans do not cover wellness programs at this time. However, we hope to see this change in the near future.